At Edgware Primary School, we understand the ever-increasing role that technology plays in everyday life, therefore it is vital that our children are presented with the wide ranging skills and applications of Computing. They learn to use Microsoft applications, graphics packages, coding apps and have secure access to the Internet. These skills are used to enhance work produced in other areas of the curriculum. All the classrooms have an interactive whiteboard. The school has 8 laptop trolleys, each trolley has 15 laptops. In addition to this we have a class set of iPads. The school is linked to a computer network and to the Internet. The school monitors relevant access and protection when using the Internet. We take issues of e-safety very seriously at Edgware Primary School, for further information please visit our e-safety page. Children are given time to play with educational games and build their own educational games in Year 4. This is based on algorithms behind the game. They are asked how many of the games are based on repeating pattern of question, response and feedback. 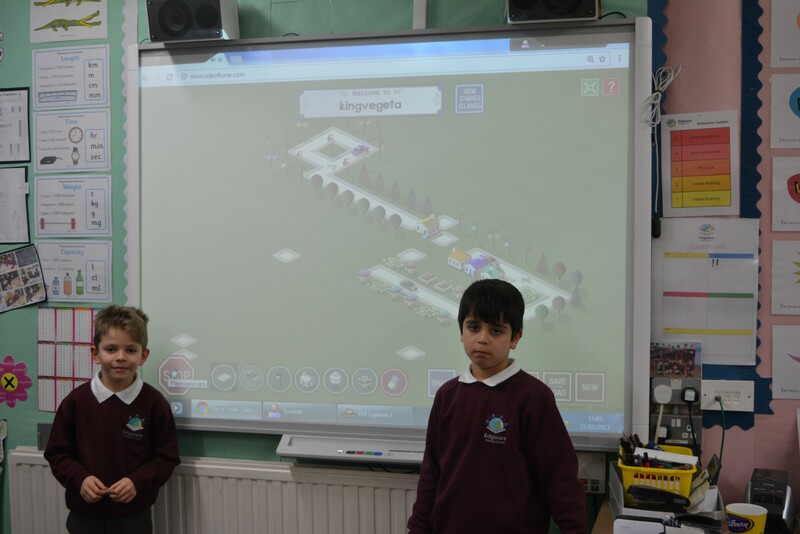 Pupils begin to design their own storyboard and design a prototype educational game in Scratch. They build their skills in coding, algorithms, debugging and presentation skills. 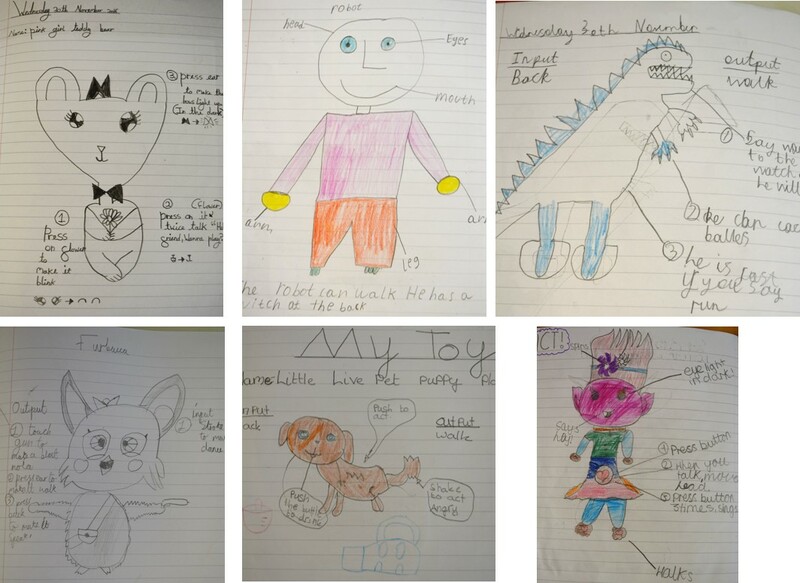 The children work together to design a simple toy that incorporates sensors and outputs and then create a online prototype of their toy in Scratch. Children are encouraged to discuss electrical items containing computers at home. They start to brainstorming ideas using mind maps. Pupils are given time to write up the algorithm for their toy's controlling program. The children use Scratch to draw the system components of their toy, drawing each part that the computer controls as a separate sprite. Children learn how to create digital music using online software and hardware. In groups, children are asked to brainstorm appropriate styles of music for their task. The children look at the idea of sequencing software, for example music software in short clips(samples) are placed in order. This is illustrated using Isle of Tune, online software. By using the software the children were able to compose, share and present their music to the whole class. Pupils are also given the opportunity to create their own music. The school uses Audacity to record and create music samples. Children work in groups in using instruments to create their own music compositions. Pupils evaluate their music composition by sharing their work with the class and teachers. In Year 5, children learn how to create a web page using HTML coding. Pupils are taught about computer networks, world wide web and the Internet as well as using technology safely online. Pupils start becoming familiar with different types of web pages and how colours, styles and images are used in computer coding (HTML). They are asked to visit X-Ray Goggles and edit the school website homepage. Once pupils learn to code in HTML they can start making a web page using Thimble Editor. Year 5 pupils created a web page on rainforests. 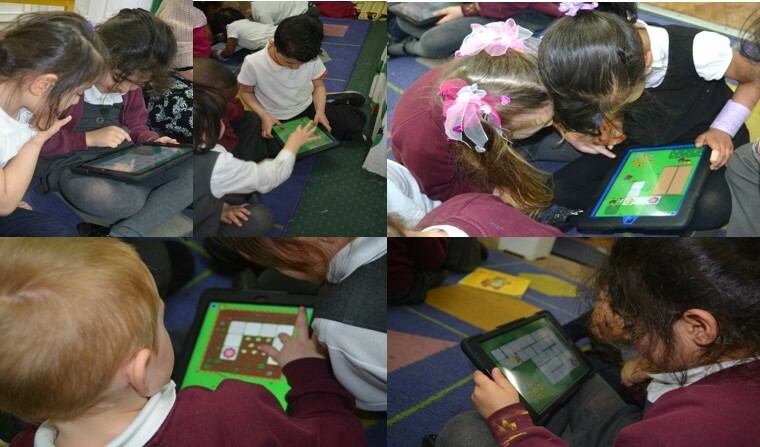 In Reception, children are using Bee-Bot app with developing algorithms and using step by step programming.